When you Publish a Blog post but not sure about anybody will read your Blog or not! You are not confident about your blog post is going to get some traffic or not.. Even if somebody comes to read your Blog but you are not sure about he/she is going to show engagement with your blog post. You always feels that something is missing…. Don’t worry it happens with all bloggers…. And Facebook Groups can be a good platform to build community. As well as Facebook Groups can massively helps you in increasing Traffic of your Blog. Because, Facebook groups are one of the best way to connect with like minded people which helps in getting your content seen organically. Here we have listed Some of the best Facebook group for Bloggers which every bloggers should join in 2019. How Facebook Groups can Help a Blogger? MasterBlogging – Master The Art of Blogging! Craft of Blogging – Start and Grow Your Blog! Below listed Blogs are specially made for Bloggers. Which means when you join these groups, you will get a chance to talk to a lot of good bloggers. As well as when you share your posts in relevant facebook groups, you are targeting people who will be interested in reading your posts. All the below listed groups are created by Professional Bloggers. With the help of these Facebook group you can ask your queries or question to some of the top bloggers in Blogging industry. There is no doubt that, You are going to learn different techniques and strategies from Professional bloggers, which will definitely helps you in growing your Blog. These Facebook groups also help you in Blogging Outreach…. Which will definitely increase trust and Value of Your Blog. These Facebook groups will also gives you opportunity to building relationship with some good Bloggers. I think you have got enough ideas about the benefit of Facebook groups for bloggers. Before we jump into the list of facebook group for Bloggers, Here we have shared some rules and guideline which is common in every Facebook Groups. » Don’t just Put Your Blog link and that’s it — Every group expects engagement from You. Which means they want you to take part in conversation, share other’s valuable content and comment on other post. » Promote where Promotion is Allowed – Yes, Most of the facebook group do not allows self promotion, So it would be better if you avoid it. Use these facebook group as building communities for your Blog. » Don’t forget to Checkout the Group rules – I would request all of you to first Read the Rules and Guideline of every Facebook Group. Each group have their own specific rules which you can find in Group description or pinned Post. »Never Over share your contents – There are some groups which allows you to share relevant content to the members. But it doesn’t means you are allowed to share same content multiple times. However as a result you may be kicked out from the group. » Be helpful and humble – For building relationship with Bloggers, you need to be humble. Which means if some one have any question, so try to Comment relevant answer to them. » Any Kind of offense is Not allowed– Yes, this rule is for almost for every groups for Bloggers. Never use any offencive words in comment or do not put any hate or abusive post in these groups. Well, i think this is enough about group rules. Amit Mishra has created this Group to help new Bloggers and digital marketers. You can learn Blogging, Digital Marketing tricks about Email marketing, Inbound marketing, Outbound marketing, Affiliate marketing, Content Marketing, Search Engine Marketing, Social media Marketing and much more about marketing online. Amit mishra is founder of Tryootech. He share articles related to Technology, Digital Marketing, SEO and Online Earning on his Blog. He also runs a Youtube channel where he share Online earning opportunities related tutorial as well as he conduct bloggers interview every week on his channel. This is one of my favourite place on Facebook where I get the answer to all of my questions related to blogging. I joined this group almost 2 months ago and got and I have met some amazing bloggers through it. This group focus on helping bloggers reach their goals together. There are multiple question posted in group each day where bloggers ask for advice, recommendation and much more. I personally got some great tips and knowledge about Blogging just from perusing the group feed, and even much more when i am engaged in the group conversation. Ankit is the founder of BloggingTipsTricks and he recently started his another new blog named as Master Blogging on which he teaches the art of blogging to newbies. This facebook group was made for Bloggers who want to start Blogging and make money online. The aim of this group is to learn by sharing and helping each other in building successful blogs. Sumit Bansal created this group who is founder of Craft of Blogging where he share articles related to fascinating world of blogging. He is also founder of TRUMPEXCEL.COM where he share Excel Tips and Tutorials. This group is one of the biggest Facebook group for digital marketers with over 100k members. That might sound a little overwhelming, But it actually means that there are tons of expert in this group which are ready to help you. This is a community where you will get opportunities to Learn Digital Marketing from the best minds in digital marketing. This group have the single mission of how to get more prospects (your target audience) to convert and close with sales funnels, content marketing and paid traffic. Deepak Kanakaraju is the founder of Digital deepak Blog. His blog ranked in top 10 digital marketing blogs in india. This group was created by Anil Agarwal. This is again one of my personal favourite group where Anil share online money making secrets, affiliate marketing strategies that he use. As he is a professional blogger and blogging from more than 5 years so you will get to learn about many Blogging tips and strategies which he uses on his blog. Anil agarwal is founder of Bloggers passion Blog. He started his blog blogging passion on on Jan 01st 2010. his blog is the Perfect place where you can learn about profitable blogging and SEO. Blogging X group was created by Akshay Hallur. Blogging x offers a platform to support each other through daily Q&A. Recently i had a doubt regarding email marketing, So, I posted my question in Group and within an hour Akshay answered my question. Isn’t it amazing na? If you are a blogger then i must recommend you to join this group. Akshay Hallur is Digital Marketing, blogger and a trainer and founder of Go blogging Tips. His blog helps aspiring bloggers and business marketers to leverage the power of the internet. He also started his new Blog Blogging X in November 2018. This group was created by Swadhin Agrawal. If you want to free yourself from 9-5 job and want to start your own full-time Blogging career, then this blog is for you. Here swadhin helps newbies in starting their blog as well as growing their Blogs. 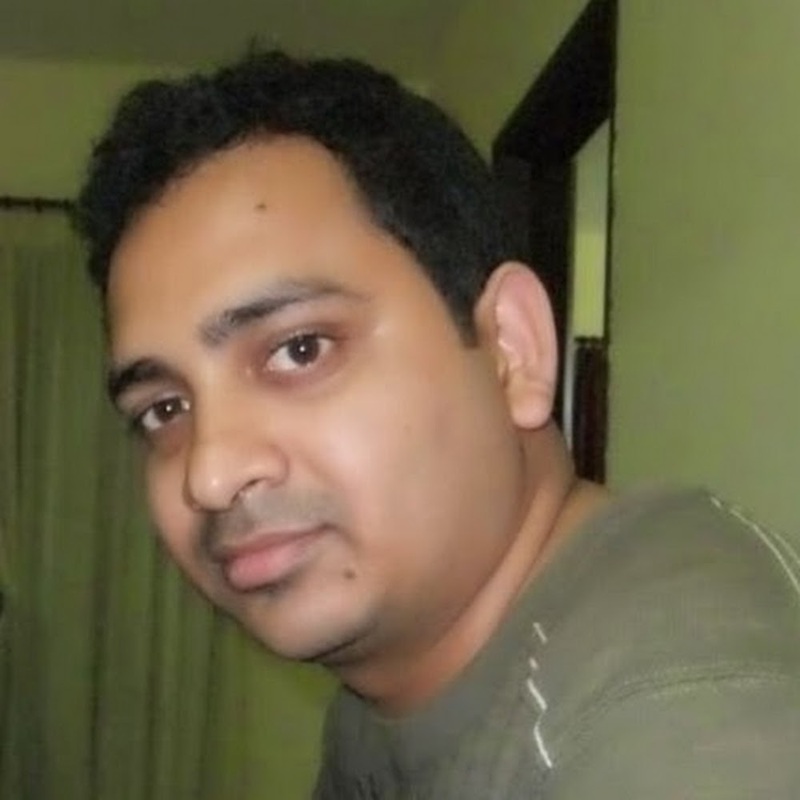 Swadhin Agrawal is Founder of DigitalGYD blog. On DigitalGYD he helps fellow bloggers to accelerate their blog growth with actionable marketing strategies and proven SEO tips. This is a community of Bloggers which helps in your Business Growth and Opportunities. You can also share your Blog link in the comment if it is relevant to the Post. You can help others through your knowledge, and in the same way, if you ever get a problem related to blogging, then peoples will help you. Pradeep Goyal is founder of CashOverflow. His blog cashoverflow focus on educating people about Online money making opportunities. IHellbound Bloggers is one of the biggest Facebook group for Bloggers with over 10,000 Members. If you are a blogger, then I must recommend you to join this group where you can share your experience with other fellow bloggers. As well as You are free to ask a question related to Social Media, SEO, WordPress, Affiliates, and Blogging related stuff. Pradeep Kumar is the found HellBound Bloggers which covers article related to Social Media, Blogging, WordPress, Internet and Technology. More than 100k+ readers visit this blog every Month. Kulwant Nagi made this group for BloggingCage.com readers. Here you will get a chance to connect with many fellow Bloggers and you can discuss your Problem with them. The prime moto of this group is to deliver value in the society by helping other Bloggers. Kulwant nagi is Haryana-based (India) blogger. He is the founder of Blogging cage blog which helps other bloggers in finding their hidden potential to become a top blogger. Shantanu recently created this group to help bloggers & internet marketers. This group is a small community of bloggers where everyone shares knowledge related to of WordPress, Blogging, SEO, SEM, Affiliate Marketing, Make Money and every possible thing related to blogging to enrich your blogging journey ahead. 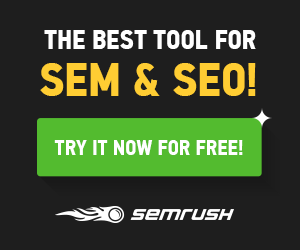 Santanu Debnath is the founder of Blogging Joy, where he helps other bloggers to accelerate their blog growth with actionable strategies and proven SEO tips. This is my personal facebook group, which I have started last week. If you want to free yourself from a 9-5 job and want to start your own full-time Blogging career, Affiliate marketing career or any career online then you should join my group. Here you will get a chance to connect with many fellow Bloggers and you can discuss your Problem or queries with them. This was the list of some of the TOp facebook Group for Bloggers. These Blogs can helps you in many ways like :- Building connection with Other Bloggers, Finding Guest Posting Opportunities, Getting answer of all of your question related to Seo, blogging and social media etc. Now its your turn to tell us about Your Favourite Facebook group which we have missed, Or if you are a Group admin and your group is not listed in our list, then please drop your group name or link in Comment section. We will love to share it with our lovely readers. we can clear our blogging doubts from experts with participation in facebook groups. just we have to active in those groups and we have to help each other. it have huge impact. Yes Venkat, you are right, I will try to make this list worthy by adding more such awesome groups run by Indian bloggers. These groups are really helping every blogger in building the relationship as well as clearing blogging doubts. Hope my efforts will help in that direction.